To accommodate the demands of our clients’ requirements, we are highly captivated in providing premium quality Kitchen Kadai. 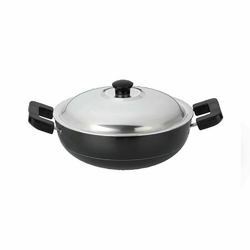 This Non Stick Kadai is used for cooking multiple food products ensuring minimum oil consumption. Available in 2 / 3 Litre sizes. 3 Layer Long Lasting Coating, Superior and Fine Exterior Finish. 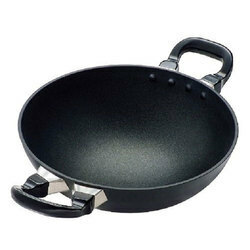 Our clients can avail from us a variety of Non Stick Kadai that is made using the premium grade stainless steel, procured from the reliable vendors of the market. Since our establishment in this market, we are highly instrumental in the sphere of offering a highly durable Wok with Handle For Hotels and Caterers to the prestigious clients.